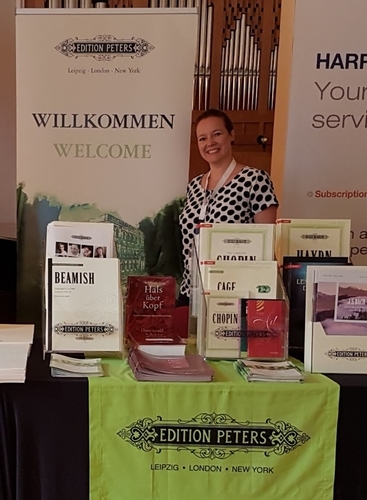 The Peters team are currently at the IAML (International Association of Music Libraries, Archives and Documentation Centres) conference 2018. The conference welcomes 500 music librarians from 40 countries for the week in Leipzig, City of Music and home of Edition Peters. We are delighted to be launching a new series this week, featuring chamber music from our dynamic catalogue of composers. The Peters Contemporary Chamber Series offers the opportunity to discover new works to programme, study and play. Representing the full breadth of our library of modern chamber music, this curated series of performance materials ranges from established repertoire to pieces recently premiered.